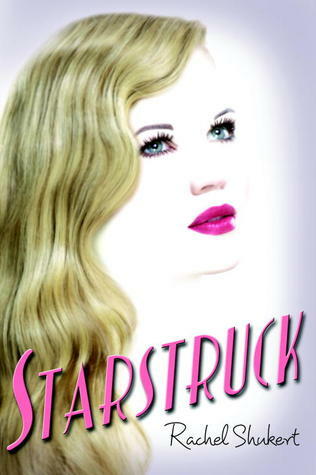 Starstruck took my by complete surprise. I didn't know I was going to enjoy it as much as I did… but I did. I am not a huge fan of fiction set in the 1930s.. especially ones that are centered around Hollywood because I feel there is too much unnecessary drama that will come out of it.. so I was a bit wary. Initially, it took me some time to get used to the book because a) it is told from multiple POVs that switch without warning, b) There was a bit too many characters and I had to keep on flipping back and forth c) The book itself had a slow start. However once I got everything straightened out and we finally get to be in the middle of hollywood.. boy did I love it. What I appreciated the most is the lack of backstabbing going on in the book. Yes, there is one pesky character that was like that, but the rest were all fighting their own problems and demons to care much about the others. I liked the mystery around the novel, especially how it was incorporated, not too all consuming, but also thought out. I found myself loving the setting of the 1930s and the way they speak, as well as the overall atmosphere of the book. I would read at any chance I got because I wanted to know what happens next. Anywhere you stop the book, you can pick it right up, that was how engaging it was. The main protagonist, Margo, was such an endearing character and I really felt for her when she went through a couple of rough patches with her parents, as well as one of her supposed friends. The end was a bit shocking, and I wanted to pick up Love Me, the sequel, immediately. There was a big hint on what the main plot of the next book will be and I kind of wish the author was a bit more subtle since it was too predictable but that won't deter me from picking up Love Me as soon as I can. I definitely recommend it to YA contemporary/historical fans. This sounds so interesting! I'm adding it to my list! This sounds really interesting. I hadn't heard of it before. Great review and I am glad you liked it. I love historical fiction but am not always a fan of books set in Hollywood. But I'd love to give this one a try one day!